From 1934 to 1937, John Cage studied composition with Arnold Schoenberg in California. Upon his arrival in New York in 1942, he abandoned dodecaphony to develop his own compositional techniques inspired by Asian philosophy (Taoism, Zen Buddhism) and based on indeterminacy (chance). 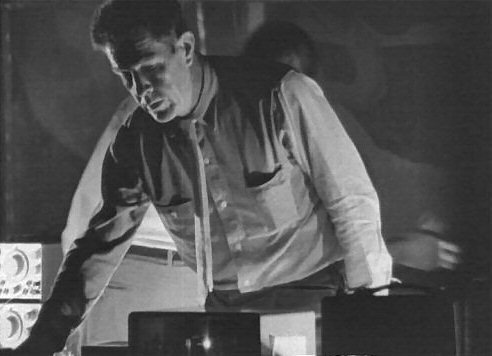 In the late 1940’s, Cage explored the acoustic possibilities of what he called the prepared piano (a piano that has had its sound altered by placing objects (preparations) between or on the strings.) In the 1950’s, he participated in the summer program at Black Mountain College (Asheville, North Carolina, U.S.) and taught at the New School for Social Research (New York, N.Y., U.S.). It was during this period that he began a multi-year collaboration with the musician and composer David Tudor. In the 1960’s Cage frequently integrated electronic sounds, ambient noises, and random fragments of radio broadcasts in his compositions. Works from this period, often created with representatives of other disciplines, such as Merce Cunningham and Robert Rauschenberg, also highlight the theatrical elements of musical performance. This experimental phase reached its peak in 1969 with HPSCHD (written in collaboration with Lejaren Hiller) presented at the University of Illinois (Urbana, Illinois, US) and featuring several overlapping visual and audio tracks (7 harpsichords, 51 computer-generated audio tapes, and abstract films). In the 1970’s, 80’s, and 90’s, Cage returned to composing conventional scores, but he still frequently employed the techniques developed in the 40’s and 50’s. A reader of Marshall McLuhan and Buckminster Fuller, Cage was at that time very alert to developments in telecommunications and their impact on society and art.